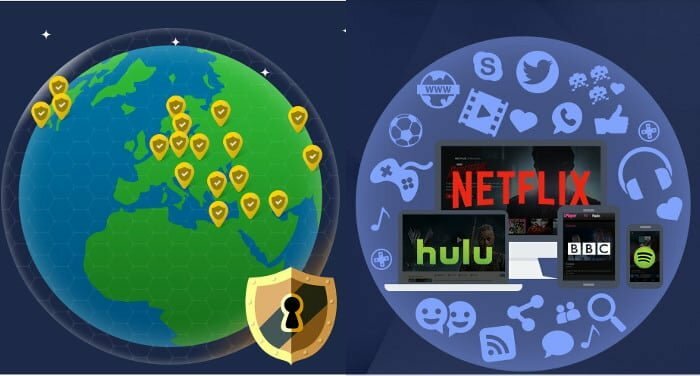 This article is a review of a VPN that I have been using since 2012, StrongVPN, that has remained a reliable option during all of the time I have spent in China. However, in the past few years, many other VPNs have appeared. Click here to see best ones we are currently recommending.. Monthly plan: 10 USD per month. Annual plan: From 5.83 USD (per month). Simultaneous connections: 5 Simultaneous connections. Encryption protocols: L2TP, SSTP, OpenVPN, IPSec and IKEv2. It works: As I said before, I have used it for a long time in China and it has always been a reliable option to get past the Great Firewall. Speed: I have tried a lot of VPNs and I have to admit that StrongVPN is one of the fastest I have used. Stability: Once you are connected, it is rare for your connection to cut out (a common problem with many VPNs). After-sale service: If you have any questions or problems, they offer 24 hour technical assistance. Servers with dynamic IPs : Currently many websites and countries can detect the use of VPNs through IP addresses, have servers with dynamic IPs can help you avoid that your connection is detected and therefore blocked. Doesn’t offer additional options: Although in the recent times StrongVPN has made an effort to offer equivalent services than other VPNs with similar prices (simultaneous connections or unlimited server changes), it still doesn’t offer additional options that others offer that sometimes maight be necessary. Such as NEAT firewall, dedicated IPs, Kill Switch, stealth encryption, obfuscated servers, among others. Since it offers a 30-day money back guarantee, in my opinion you do not need to opt for the monthly plan (much more expensive). When you are at the place from which you are going to connect most frequently, go to the StrongVPN webpage, input your email and password, and enter the Customer Area. After that, go to VPN Accounts –> VPN Accounts Summary and click on Speed Tests. 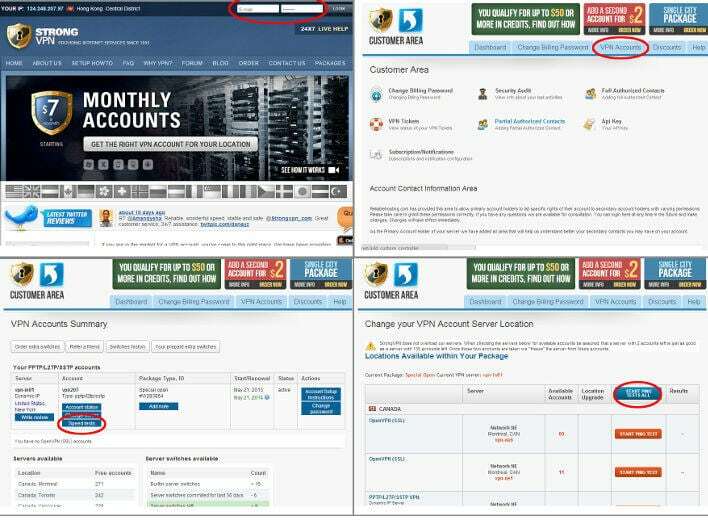 Click on Start Ping test all (this will take a while), select the server that shows the smallest number and at the bottom of the page, click on Change Location (see the photo below for more details).